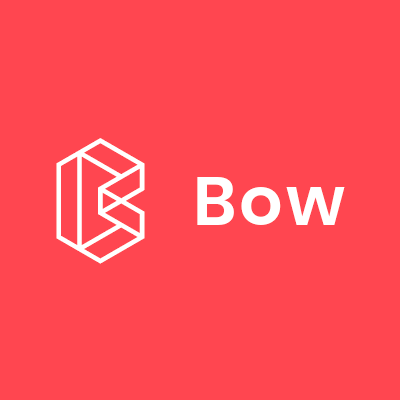 Bow is a library for Typed Functional Programming in Swift. Bow: core library. Contains Higher Kinded Types emulation, function manipulation utilities, Typeclasses, Data Types, Monad Transformers and instances for primitive types. BowOptics: module to work with different optics. BowRecursionSchemes: module to work with recursion schemes. BowFree: module to work with Free Monads. BowGeneric: module to work with generic data types. BowEffects: module to work with effects. BowResult: module to provide an integration with Result. BowBrightFutures: module to provide an integration with BrightFutures. BowRx: module to provide an integration with RxSwift. Bow is available using CocoaPods, Carthage and Swift Package Manager. Create a Package.swift file similar to the next one and use the dependencies at your convenience. If you want to contribute to this library, you can check the Issues to see some of the pending task. Now, you can open Bow.xcodeproj with Xcode and run the test to see that everything is working.